Roughly one year ago, we began drawing the Rockitship with the same Drawnright 4130 chromoly tubeset used on the Goodship, but making it with rack-ready 12mm thru-axle dropouts and flat mount disc brakes. 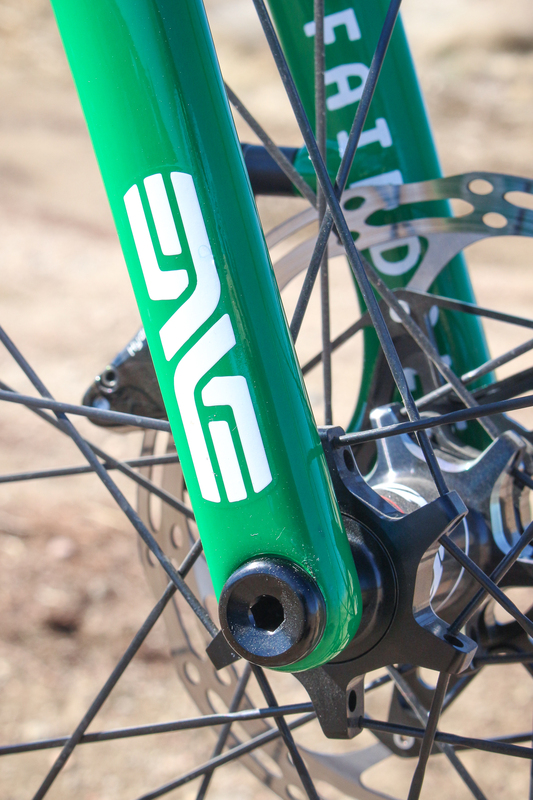 While we obviously wanted to use the bike for touring around and going off-road, we didn’t want to go “full” mountain bike with this one, so we designed it around working with an ENVE CX fork. 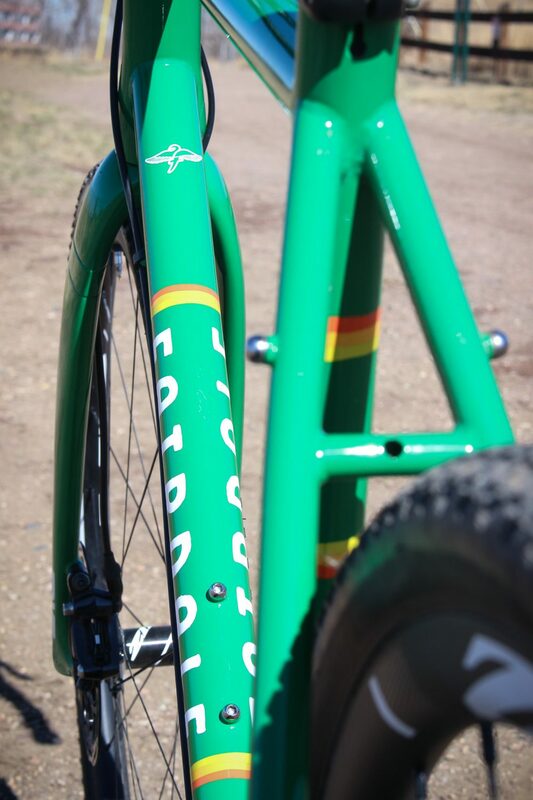 This means that we have a 1-1/2” to 1-1/8” headtube and lots of clearance up front. The frame will comfortably fit tires up to 41mm/1.6 inches wide, which allows it to work with either a 2x or 1x drivetrain, while also maintaining a shorter chainstay length. 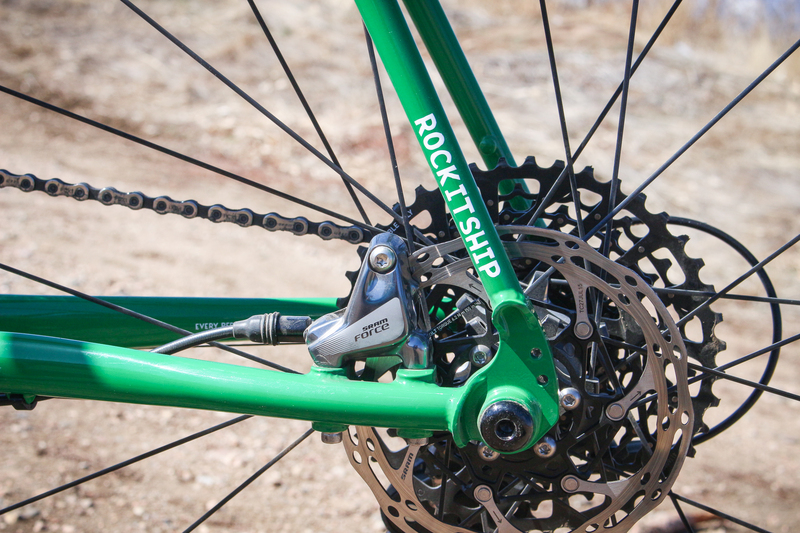 We are currently working on a complete bike, but if we can’t hit our pricing goals, then the Rockitship will be available as a frame and fork kit. 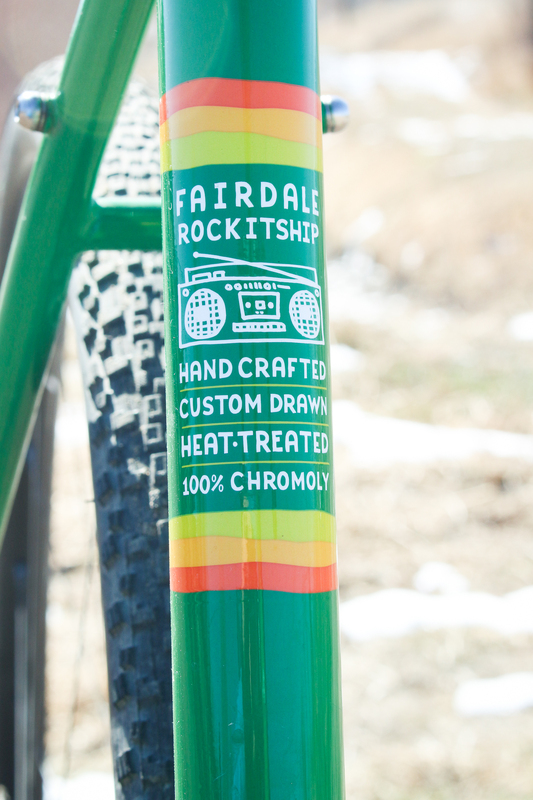 The Fairdale Rockitship uses custom butted, heat-treated Drawnright tubing that is ED (epoxy) coated inside for excellent corrosion protection. It allows for excellent durability and a smooth ride feel. It’s a strong bike, but it’s still light enough to race to the finish-line or to the campsite. 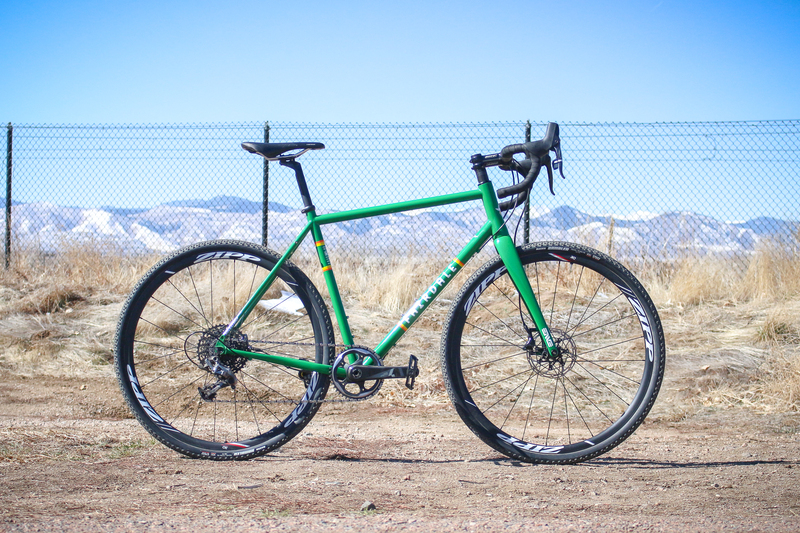 Spec’d with a 142×12 thru-axle dropout with the mounting ability to use a rack, the Rockitship is able to use a variety of up-to-date hub and wheel choices, while maintaining some utilitarian versatility. 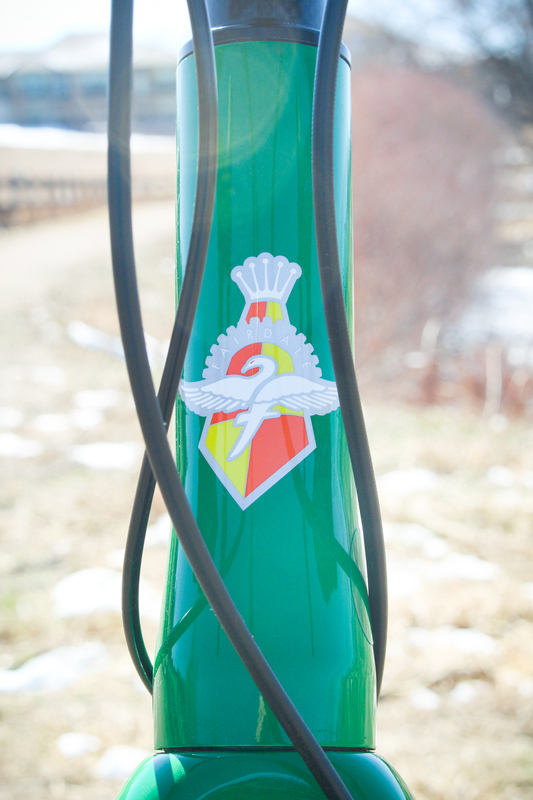 The three bottle mounts, plus a low seat tube bottle mount for maximum frame bag clearance, allows you to bring along plenty of hydration. When run with a tubeless rim, orange seal sealant, and a 40c tire (like the Maxxis Rambler) your possibilities for exploring are close to being maximized. The lower tire pressure and added traction allows for a smooth and efficient ride. It lets you take routes that normally would’ve left you with flats and jiggled up internal organs. The Rockitship will definitely help you find your way to funtown, whether the road there is paved or dirt.